Parasites range from single celled amoebae to 50 feet long tapeworms. Common among them are pinworms, round worms, tapeworms, flukes, toxoplasma, Trichinella, Trichomonas, Cryptosporidium, Giardia lambia and many others. There are numerous possibilities of contracting a parasite from food, water, animals or contact with a surface that carries parasites or their eggs. For example, the door handle of a toilet touched by someone who has a parasite. Toxic conditions and undigested food residues in the colon make a hospitable environment for a variety of parasites. They also could settle in the liver, especially flukes. These harmful parasitic agents need to be reduced to a minimum and kept in check. A periodic parasite cleanse is very important to expel them and maintain good health. 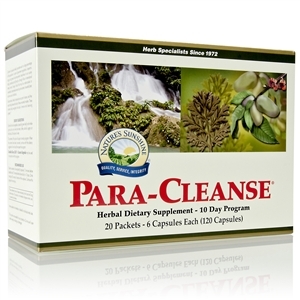 The Para-Cleanse system from Nature's Sunshine is a thorough protocol for this process. Various other herbal formulas and individual herbs that counter parasites are shown further below. The herbs in Para-Cleanse work synergistically to create an environment that supports the health and viability of “healthy” microorganisms, also known as intestinal flora. 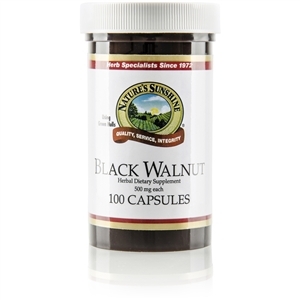 These include Nature's Sunshine Black Walnut ATC Concentrate, Paw Paw Cell-Reg, which helps the body’s natural cleansing process, Herbal Pumpkin Formula and Artemisia Combination. These formulas help make the intestines inhospitable to foreign invaders, help remove debris and lubricate the colon to optimize intestinal function. 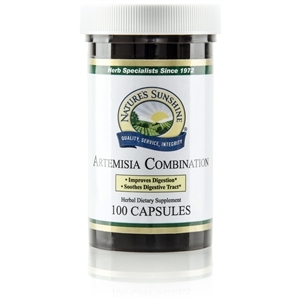 This formula features two species of artemisia — sweet wormwood and mugwort. These herbs contribute to a friendly environment for intestinal flora. 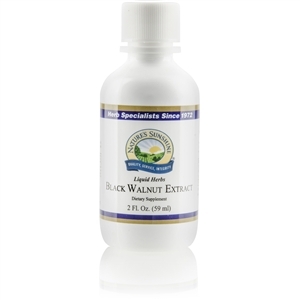 We’ve added elecampane, clove, garlic, ginger, spearmint and other powerful herbs for maximum effectiveness. This herbal combination helps make the intestines hospitable to a balanced microbiological environment. 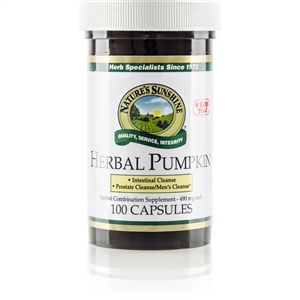 Pumpkin seeds, black walnut hulls and chamomile help create this environment, while the other five herbs help cleanse and lubricate the colon to optimize healthy intestinal function. Adults: Take 2–3 capsules daily with a meal. Children age 12 and over: Take 1 or 2 capsules daily with a meal. NOTE: This product contains cascara sagrada. See your health care provider prior to use if: pregnant or nursing, any medical condition exists, or when taking any medication. Read and follow recommendation carefully. Do not use if diarrhea, loose stools or abdominal pain are present or develop. Use of this product may worsen these conditions and be harmful to your health. Chronic diarrhea can result in serious illness. Berberine IR naturally supports healthy blood glucose levels by up-regulating enzymes that trigger blood glucose metabolism. Utilizing a time-honored ingredient found in both Traditional Chinese and Ayurvedic formulas, Berberine IR works to support blood sugar balance and glucose metabolism through a unique cellular action. Berberine, a constituent of certain plants, helps activate a key enzyme that supports blood glucose metabolism, turning your cells from “idle” to “on” and helping them to use glucose efficiently. 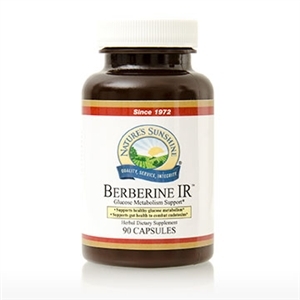 Additionally, Berberine IR supports healthy gut performance to help combat endotoxins. High-carbohydrate diets change the microflora of the gut, increasing bacteria that produce endotoxins. These endotoxins are released into the bloodstream and interfere with normal glucose metabolism. Berberine specifically supports gut health by inhibiting the ability of endotoxins to bind to muscle cells, thus helping to support proper glucose metabolism function. Its unique mechanism of action makes Berberine IR an excellent option for those who wish to start or strengthen their glucose management regimen. Support your body’s ability to metabolize blood glucose with Berberine IR. Berberine from Barberry, is also known to combat intestinal parasites, especially tapeworm. Take 1 capsule three times daily before a meal. 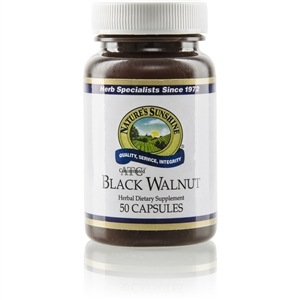 Black Walnut Capsules: Take 2 capsules with a meal twice daily. ATC concentrated: Take 1 capsule with a meal twice daily. Copyright 2013-2019 by Natural Health Enterprises -- All rights reserved.